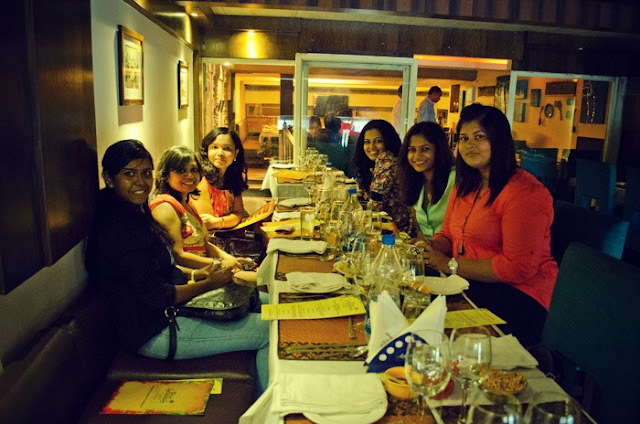 You don't say no to an event if it involves wine, food and your favourite bloggers, do you? 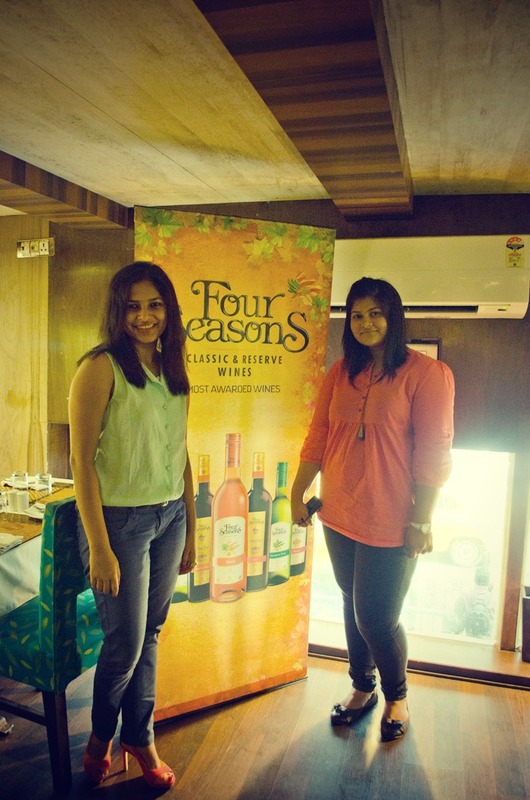 So when Four Seasons Wines decided to host a lunch (a food and wine pairing event) solely for bloggers, I was overjoyed. A lazy afternoon of drinks and food with seven pretty ladies and our host for the afternoon Shamita Singha (brand ambassador of Four Seasons Wines) and at the Oasis Restaurant in Park Street. 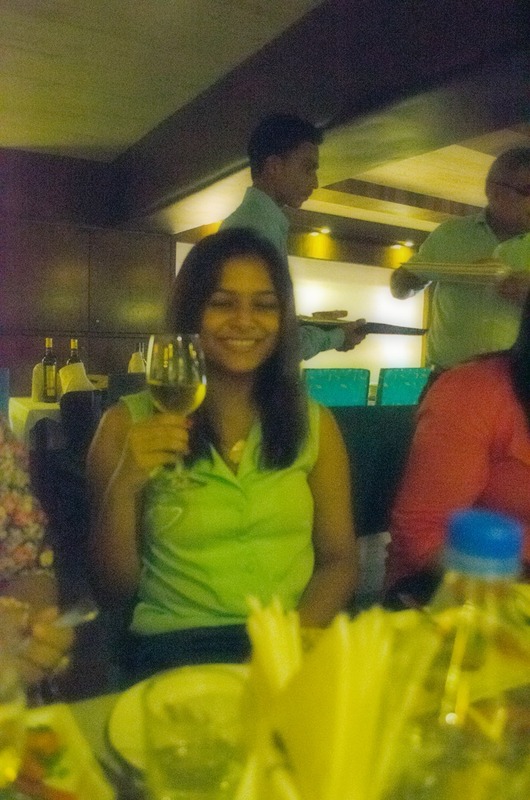 Shamita told us all we had to know about pairing wine with food and also broke a few myths. 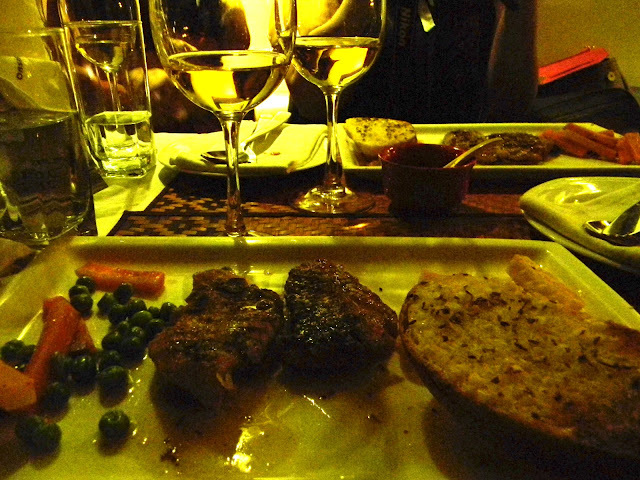 For one, it is not necessary to pair white wine with white meat and red wine with red meat. 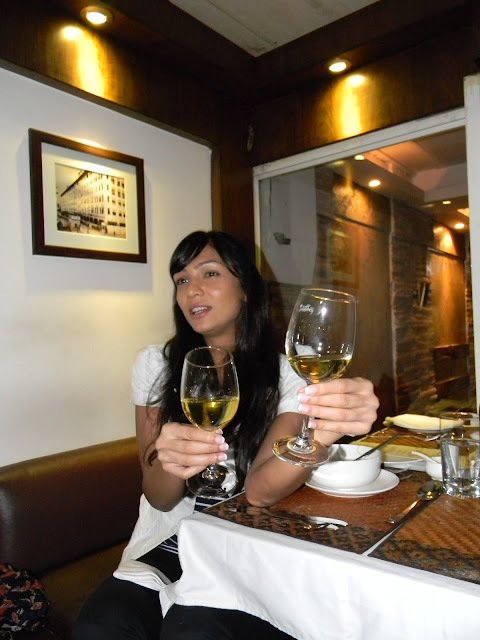 Ideally, white wine goes well with lighter foods and red with heavier ones. Wine is supposed to enhance the flavours of your food. But if you'd like, you could pair wine with your regular daal-chawal. 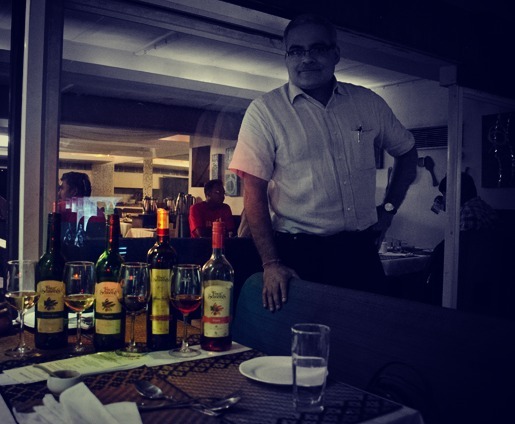 Wines are not just about fine dining. To really enjoy the taste of the wine, you follow the 4 S's. See. Swirl. Smell. Sip. You notice the colour of the wine against a well-lit background and then keep the glass on the table and swirl. This is to bring out the aromas of the wine and to open it up a bit since it has been bottled up for a long time. You then dig your nose into the glass and take in the aroma. Sip. Let the wine stay in your mouth for a while and roll it around your mouth before gulping it down. Wine must also be served at the correct temperature, which is approx 14 to 18 degrees for red wine and 8 to 12 degrees for white/rosé wines. We tasted four wines. The Chenin Blanc, which is an off-dry white wine, was paired with the entres, Veg Wantons and Herb Infused Chicken Reshmi Kebab. I personally felt kebabs go better with red wines. For main course, we were served Grilled Fish in Lemon Butter Sauce and Masala Au Gratin paired with Viognier, which is a dry white wine. It is easy to differentiate the two wines from its colour itself and while Chenin Blanc had hints of fresh apple, citrus and honey, Viognier had a more floral aroma with hints of apple, apricot, peach and spice. We had the Blush wine next and this is my favourite. From the colour, to the smell and the taste, this was the best. It is an off-dry still rosé wine, salmon pink in colour. It has this very nice smell of freshly crushed strawberries and hints of sweet spice and it tastes deliciously fruity with balancing acidity. After our Brownie with Ice cream dessert, it was time for the red wine, Barrique Reserve Cabernet Sauvignon. This left me pleasantly surprised! I loved it so much so that all I've been drinking these days is red wine. I have always preferred white wines to red. But, I think red wine is finally growing on me. And just for your information, you could drink wine almost guilt-free since it is the most natural of all alcoholic drinks as it does not contain spirit. So drink away! Not too much though okay? That is such a wonderful thing to go to! I'm glad you had a good time! It looks like you had a great time and that wine looks delicious! PS. Thank you for your lovely comment on my blog and would love to follow each other if you like. Hope to hear from you soon. Looks like fun :) PS: Can't wait to see your pics - those shoes look lovely! That was nice of Four seasons to host the event. Kolkata Has A New Dog Cafe In Salt Lake! Website Designed By TheRamblingTallGuy || Template By ThemeXpose All Rights Reserved.